Trapp Family Hotel is the closest hotel to the famous Monteverde Cloud Forest Reserve. 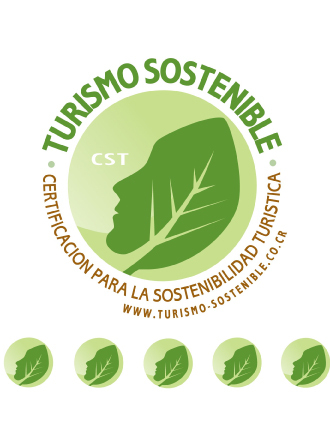 It was established in 1999 by a Chilean who reached Monteverde more than 20 years ago. Before opening the hotel, he worked for many years in others hotels in the area and gained valuable experience. When the hotel was established, there was a wide range of accommodations and restaurants in the Monteverde area. With the idea of being the best, the policy of Trapp Family Lodge is to make our guests feel at home. The hotel´s wooden chalet-style architecture was designed by the owner to reflect the warmth of the mountain. Through the years infrastructure has been improved always under the same concept of a family business which its main goal has been to provide the best possible service in harmony with nature. When we opened, in 1999, the hotel had only ten rooms and a restaurant. Soon it was necessary to build more rooms to a total of eighteen, in our main building. On 2003, our second building was finished, with eight Mountain Suites style rooms, all of them with a spectacular view of the Monteverde Mountains, offering our guests an option of more luxurious rooms. The last construction has been done in 2010 of four new Mountain Suites. We are a family dream come true where hope, honesty, perseverance and transparency has led us to a social, environmental and cultural commitment with the help of the team that provides enjoyment, peace and tranquility of guests. To be a hotel full of excellence that generates the best experiences and memories for our guests, seeking growth together with our employees and customers, becoming the best mountain hotel in the country. Quality of service provided to our guests. Commitment to the environment, respecting and complying with all requirements established for this. Commitment to society by hiring people from the Monteverde area and proving them, and their families, different opportunities of growth. Consistency between w hat we promise our guests and we deliver. Continuous innovation of our strategies and our working methods in order the constantly offer quality service.